The map uses albedo datum on its background. The albedo datum derived from data of Lunar Orbiter Laser Altimeter (LOLA) instrument of Lunar Reconnaissance Orbiter (LRO) mission and has resolution 1000m. Installation archive “All vector layers of Moon”. 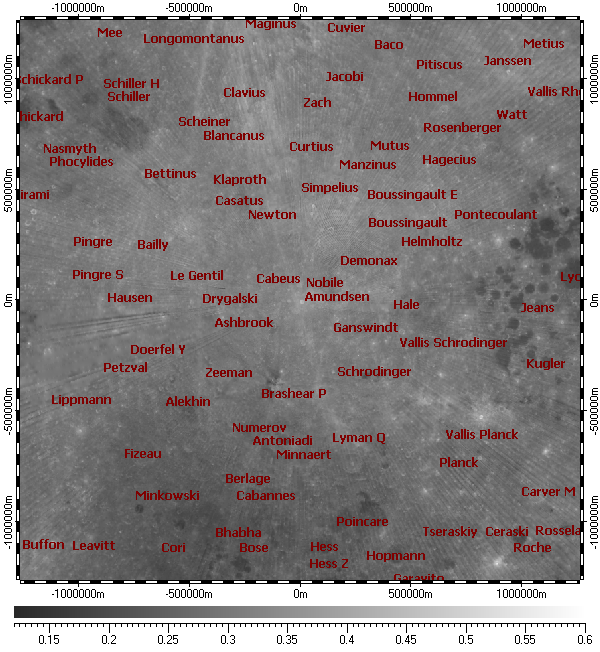 Installation archive “Albedo of South Pole of Moon with resolution 1000m”. Spatial Aspect Map Locator for installation process. Spatial Aspect Explorer for using.